Finally, the first auto focus lens I buy and use in my life, and happens to be the hot from oven Zeiss Batis 135/2.8 Apo Sonnar T* for Sony FE mount. Full frame, Apo design, auto focus! 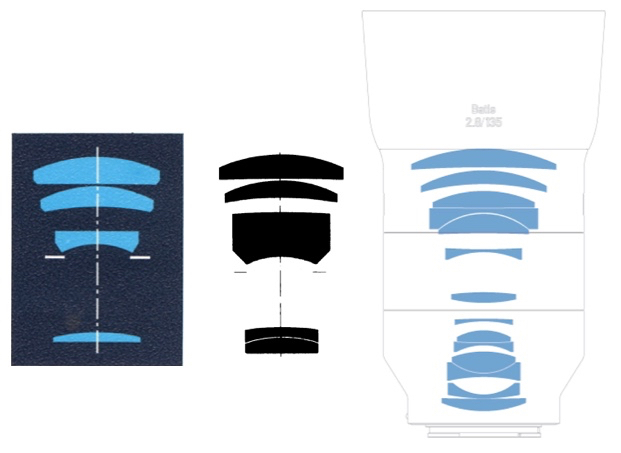 Below is a simple illustration of the evolution of Zeiss 135mm f2.8 over the years, less the very respectable Contarex 135/2.8 Sonnar. Rolleiflex HFT 135/2.8 Sonnar, Contax 135/2.8 Sonnar T*, Zeiss Batis 135/2.8 Apo Sonnar T*. Roughly to scale. Weight: Rollei-450g, Contax-585g, Batis-614g. In old days Zeiss lens designs are always very elegant, making use of very few lens elements and groups. From an engineer point of view the simplest design is the best and most elegant design. But today with very high resolution digital sensors even Zeiss will need to make their design fairly complicated to cater for much stringent performance requirement and the do-not -quite-make-sense pixel peeping on the computer screen. 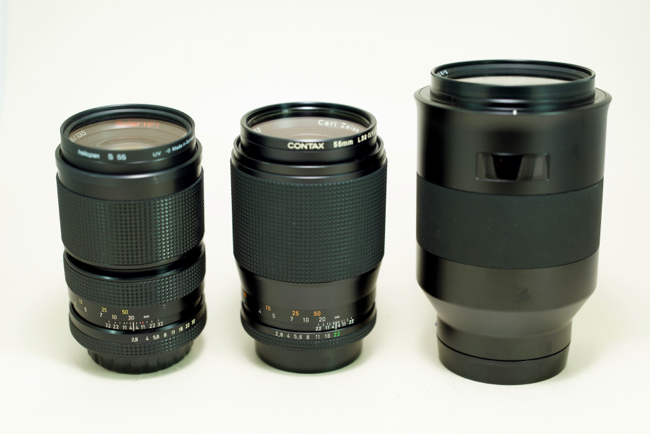 For telephoto the unavoidable CA and colour fringing, and for Batis design for auto focus. 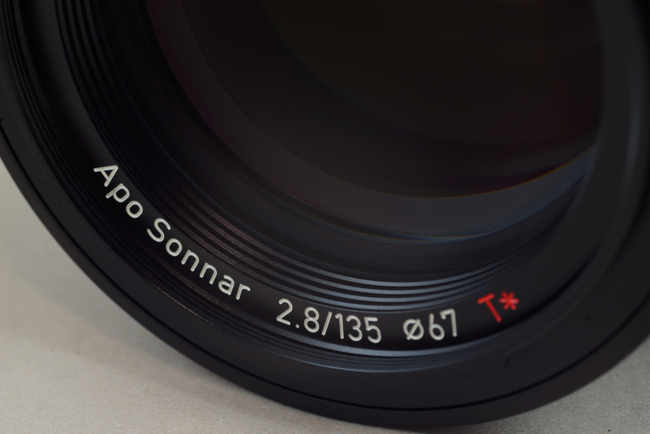 Thus you can see the fairly complicated Apo Sonnar design for the Batis series, and knowing Zeiss has been very stingy on labelling their lens as Apo you would thus expecting very high standard of correction for the Batis 135/2.8 Apo Sonnar, and of course with the renown T* multi-coating. 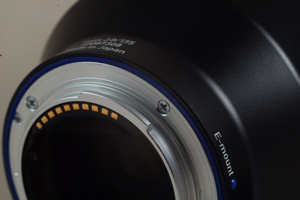 Based on the lens diagram I think the Batis Apo Sonnar is no longer a conventional Sonnar design, as the design now need to cater for very high correction of images and also internal focusing for auto focus. 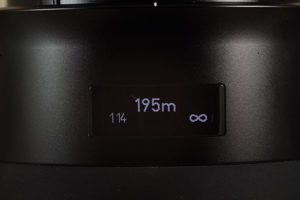 The lens design used floating elements, but Zeiss only uses special glasses for this lens and no aspherical elements to achieve the Apo quality. Competing head on of course is the very good ZF/ZE series 135/2 Apo Sonnar T*. 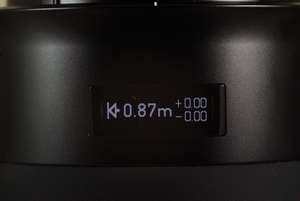 The Batis is lighter, and being internal focus the length of the lens does not change over different focusing distance. Based on the MTFs both Apo Sonnar performance is very good. My only complaint on the Batis is the fine focusing. For that it could be the focus by wire manual focusing design of the Batis, or I have not get used to this method of manual focusing. It could sounds funny, that the very first thing I tried to do with the Batis 135/2.8 is to figure out how to best manual focus the lens : D !! Next is of course struggling very hard for the whole day in a school event of my daughter to figure out all the auto focus settings on a Sony A7R2! A7R2, f4 1/500, ISO 320, auto focus, 27 May 2017. And till the night I was trying the various auto focus settings for moving subjects on stage, and finally I think I have made the auto focus mode work for me and also being quite far from the stage I happened to be able to examine the high resolution and high correction for the Batis 135/2.8. A7R2, f2.8 1/250, auto focus, ISO 1250, Manfrotto 190XPROB/054Mg, 27 May 2017. The photo was taken with the A7R2 mounted on a tripod with the Batis Apo Sonnar. Taken at f2.8 the widest aperture and at ISO 1250. 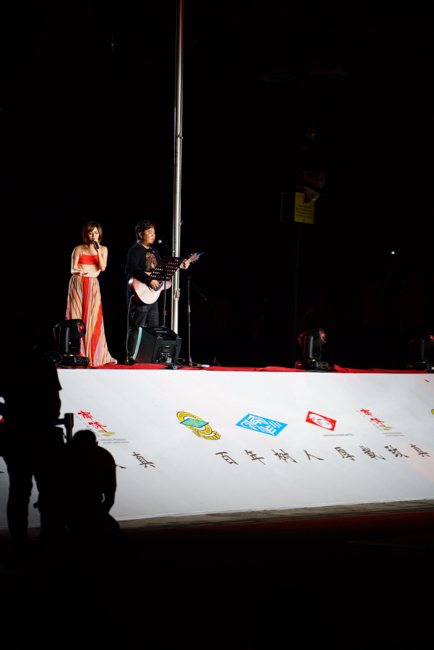 The crops of the photo demonstrate very clearly the very high quality of the Apo Sonnar and also the A7R2. Thanks a lot for the report!